Since a very young age owner Lilia Gudino Vazquez has been interested in the traditional remedies and treatments of different cultures. While traveling she experienced many different spa techniques and native treatments of places such as Mexico, Indonesia, and France. 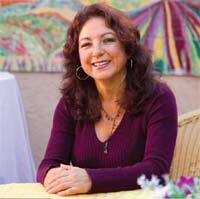 Lilia is a certified member of A.B.M.P (Associated Body and Massage Professionals). She completed her studies as a Holistic Health Practitioner at the Natural Healing Institute of Naturopathy in Encinitas, California. Currently, her focus is clinical herbology and nutrition as well as aromatherapy and spa techniques. Yerba Fina Spa offers luxurious body treatments from around the world by appointment only in its new location.